You could make your head spin browsing through the entire catalogue of affordable laptops in India. 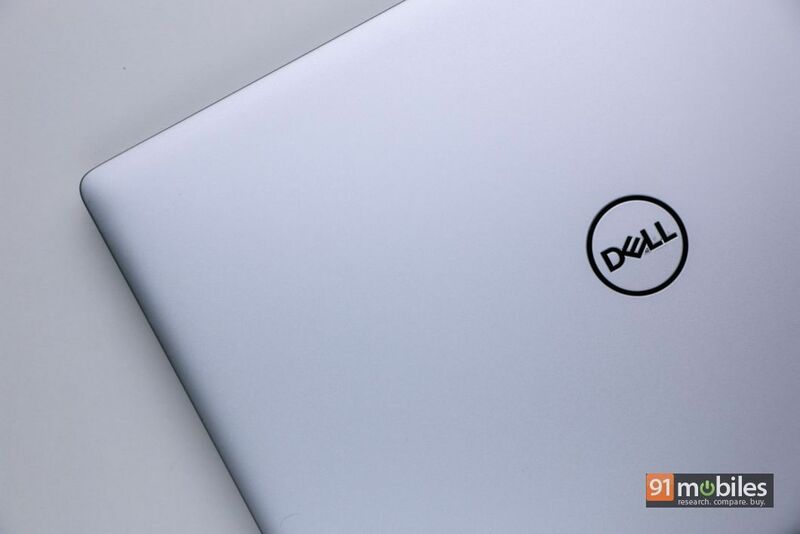 While brands like ASUS and Acer have compelling offerings in the segment, they don’t carry the same ‘gravitas’ as a notebook from a company like Dell, who has been in the industry for as long as anyone can remember. 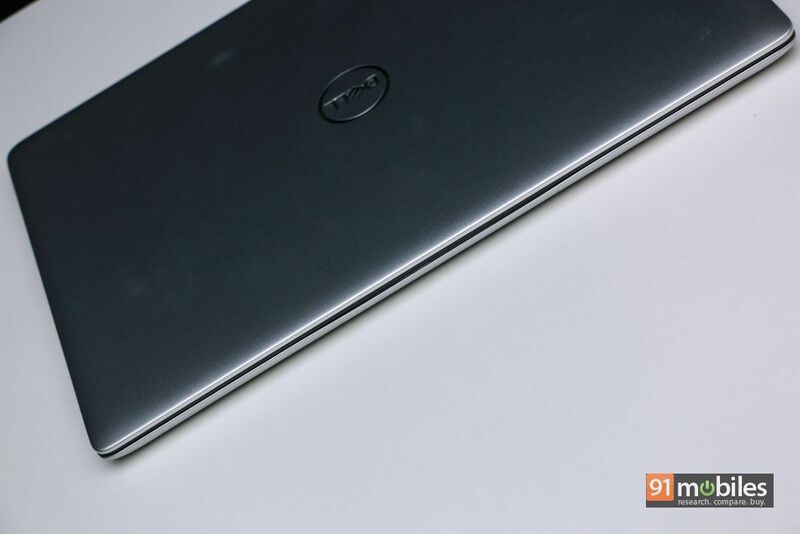 Recently, the brand announced a brand-new Inspiron for the masses which, on paper, offers tremendous value for money. 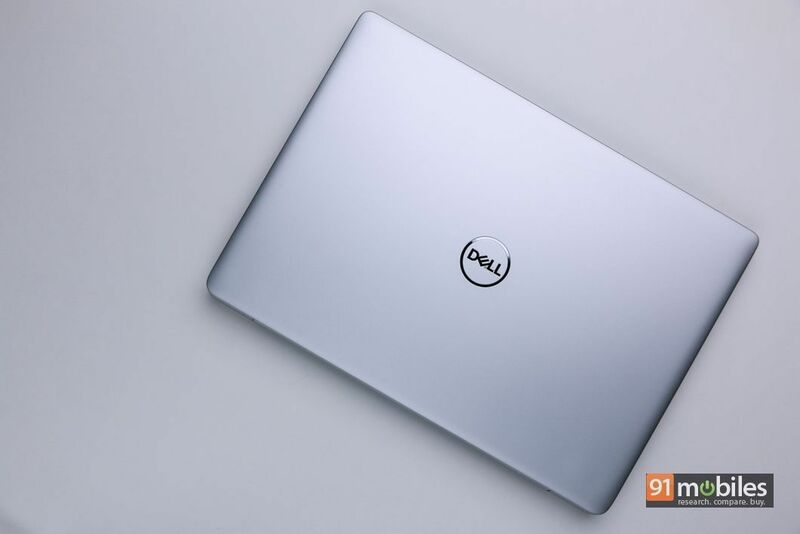 Dubbed the Dell Inspiron 5480, the laptop features a compact design and is powered by the latest generation chip from Intel. But, is it worth your bucks? Let’s find out in this review, shall we? 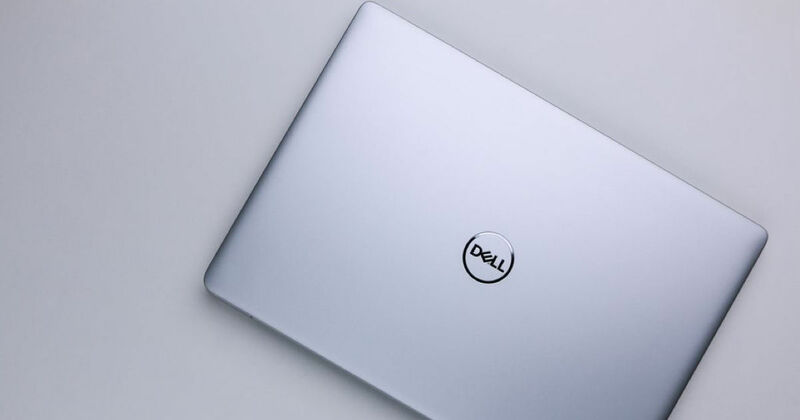 Aesthetically, Dell hasn’t given the Inspiron 5480 a fancy makeover and the laptop looks like the most run-of-the-mill notebooks in the market. The unit has been constructed in entirety using plastic, though the top lid features a convincing brushed metal coating which feels nice to the touch. I’d also like to inform you that despite making use of plastic for its outer shell, the Dell 5480 doesn’t feel cheap or flimsy. In fact, the laptop is among the sturdiest machines I’ve tested in this price range – there’s almost no flex around the base of the unit and the hinge connecting the display to the bottom of the laptop offers just the right amount of friction too. 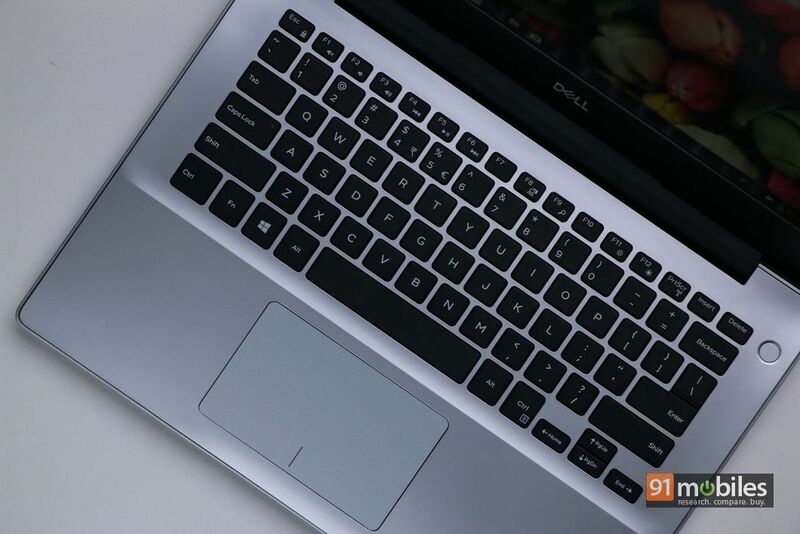 You could make an argument against the slightly wobbly display, but for the most part, the Dell Inspiron 5480 conveys a sense of reliability which is synonymous with the brand. Coming to the colour choices, you can opt to pick up the laptop in a silver hue, which is what I was sent from the company for review. The paint job is desirable for users who work in an office and want a subtle-looking machine. However, if you were looking for a flashy laptop, then Dell also offers the 5480 in a Burgundy Red colourway which, going by the company’s product shots, looks exquisite. The USP of the Dell Inspiron 5480 is its compact size, which is a bit of a rarity in the laptop’s price segment. 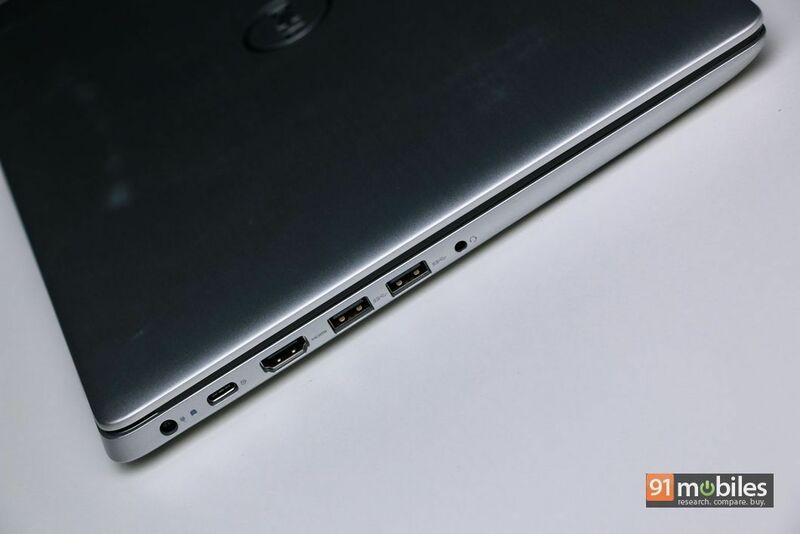 Despite that, Dell has spared no expense to furnish the Inspiron 5480 with all sorts of ports, including a USB 3.1 Type-C port, two USB 3.1 Type-A ports, a USB 2.0 port, an SD card reader, a full-sized HDMI 1.4 port, a headphone jack as well as an RJ45 Ethernet port. 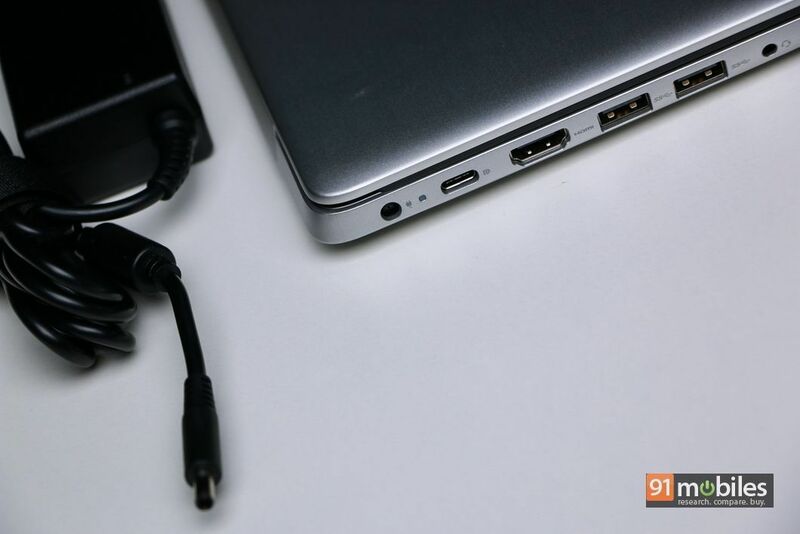 Suffice it to say, if you’ve got an accessory, then the Dell 5480 has a port for it. 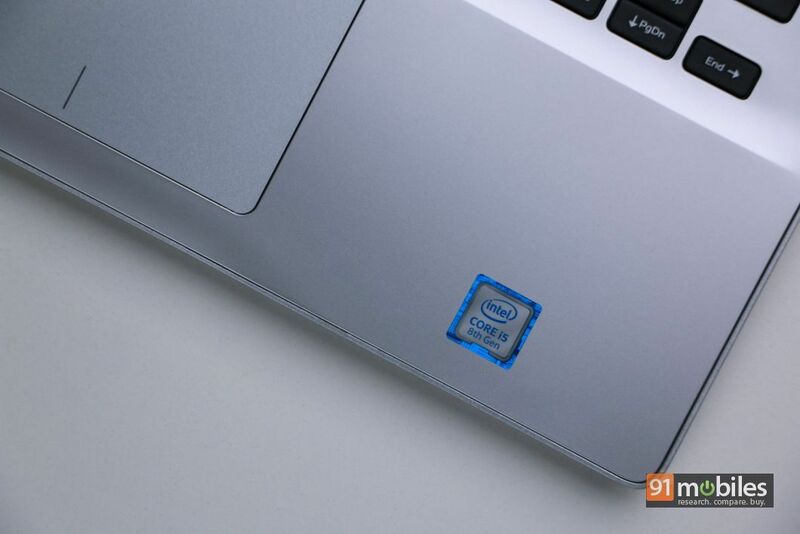 Interestingly enough, while the Dell Inspiron 5480 is a modestly-priced laptop, the company has furnished it with a fingerprint sensor which is embedded inside the power button for biometric authentication. The sensor is quite speedy and managed to register my fingerprint in a jiffy, however, getting into the home screen is a different story altogether. I’ll talk more about that in the performance section, so stay tuned. 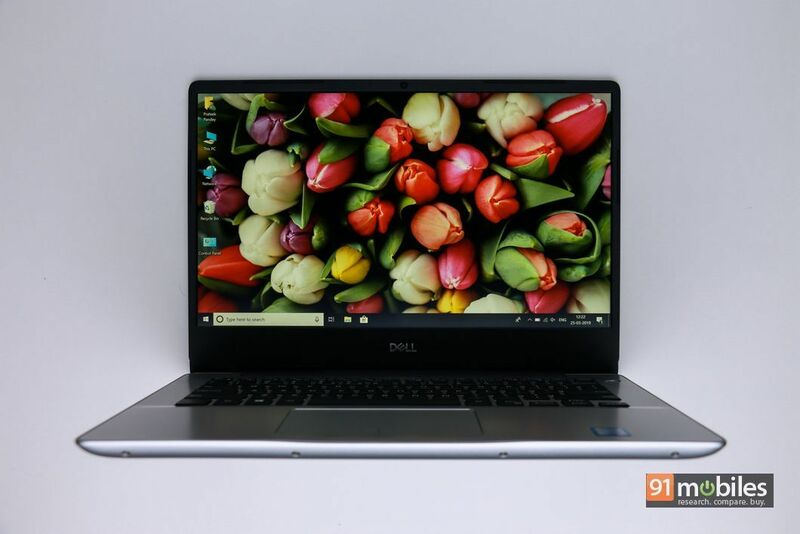 As I mentioned previously, the Dell Inspiron 5480 is a compact notebook and the machine’s small footprint can be accredited to its bezel-less display. 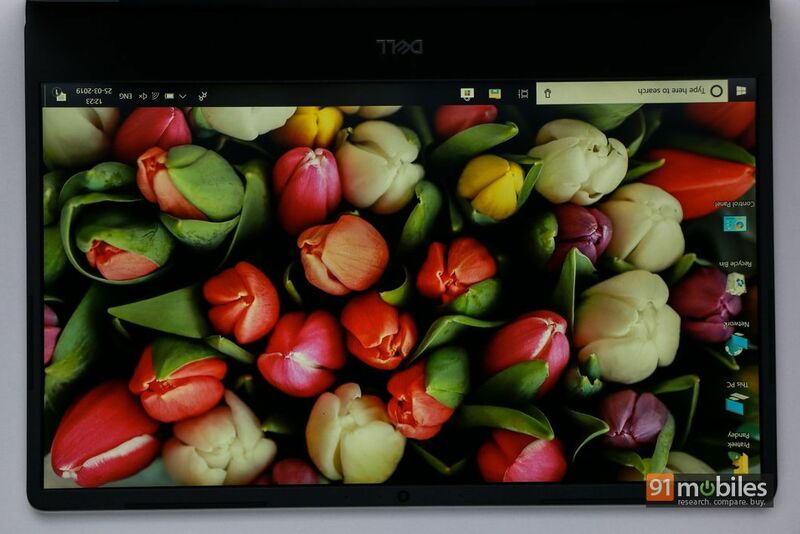 The 5480 ships with a 14-inch, full HD IPS panel which is bordered by slim bezels along the top, left and right edges, thereby giving the notebook a higher screen-to-body ratio than competing offerings. The panel in itself is quite nice, and it ships with an anti-glare coating on top which keeps unnecessary glares and reflections to the minimum. However, you might be left wanting for a bit more vibrancy from the display. Barring that, the laptop’s display offers good viewing angles, gets adequately bright and thanks to its razor-sharp bezels, offers an unobtrusive media consumption experience. I rely heavily on a laptop’s keyboard to get me through my work day and to that extent, the Dell Inspiron 5480 didn’t disappoint me. The laptop’s keyboard offers satisfactory key travel, doesn’t flex in around the centre and the keys on the unit have been suitably spaced too. Therefore, at no point during my review period did I feel that the keyboard was too cramped or congested. Moreover, the keys on the unit aren’t mushy and have a sandy-finish to them, which oddly enough, somewhat bettered the typing experience on the unit. My only gripe with the unit is that the keyboard doesn’t offer LED backlighting and therefore, you’ll struggle with getting your type on at night. 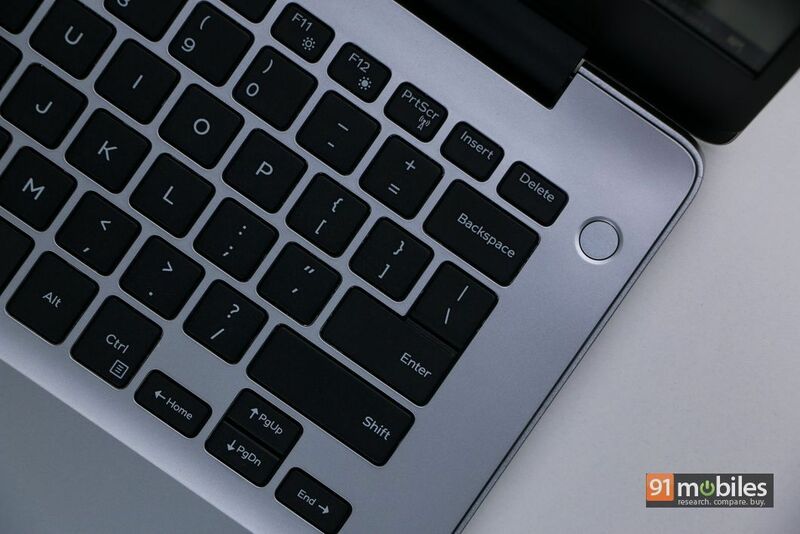 As for the trackpad, it’s fairly large and comes with support for Windows Precision drivers, meaning multi-finger gestures were rendered flawlessly by the unit. The left and right mouse buttons did feel a tad bit repressed, but besides that, the trackpad functioned as it should. The Dell Inspiron 5480 is backed by Intel’s 8th-gen Core-i5 8265U processor which works alongside 8GB of RAM and a terabyte of storage. 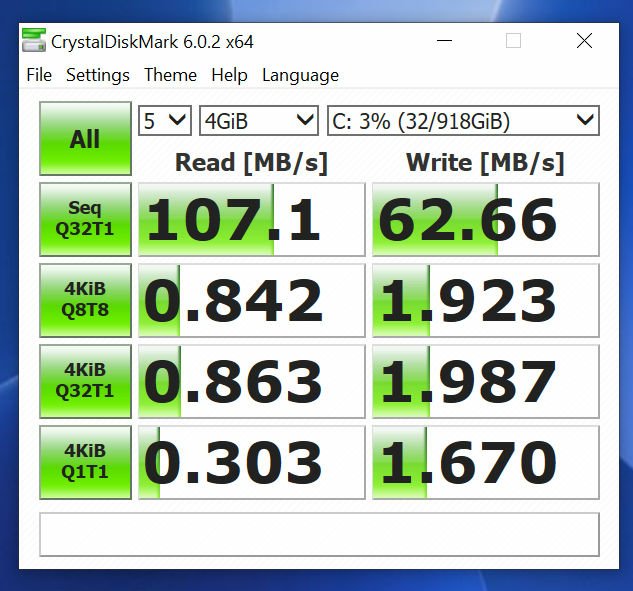 While all that’s good and dandy, the caveat is that the laptop uses a traditional 5400 rpm mechanical drive for storage, which simply put, is painfully slow. And, that’s partly why I was left unimpressed with the unit’s performance too. While the processor inside the laptop is more than capable of handling everyday tasks like browsing the web, the laptop’s HDD took its own sweet time to load webpages and launch web browsers. What’s more, boot time for installed applications was quite long too, and at times I sat at my desk and wondered if the command had even registered with the machine. Then, when I would click on the app again, the laptop would open two instances of the same utility, which made getting any work done on the laptop an extremely infuriating experience. That said, the laptop does ship with an M.2 SSD slot and therefore, you can upgrade the laptop’s storage to better its performance. However, as it stands, the Inspiron 5480’s HDD is a thorn in Dell’s side. To give you a better glimpse at the laptop’s performance, I’ve run it through a slurry of benchmarks, so take a gander at the gallery above. In the battery department, the Dell Inspiron 5480 is backed by a 42WHr cell which managed to last me a little over six hours off a single charge. The laptop was set at performance mode during my testing, so my guess is that you can squeeze another hour or so worth of battery life if you’re being mindful of the battery saver settings. In our BatteryEaterPro test, the laptop drained completely in 84 minutes under heavy load, which is slightly underwhelming. 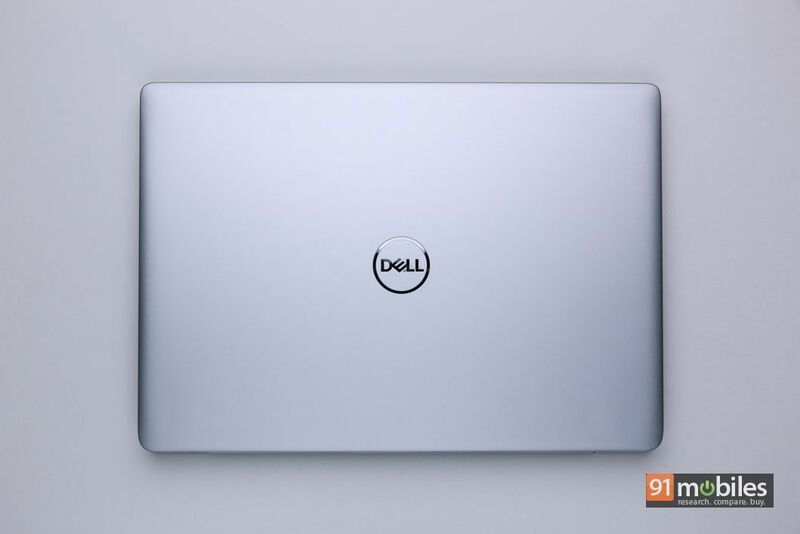 The Dell Inspiron 5480 retails for Rs 50K and for the price, offers good battery life, a bezel-less display, solid build quality and a wide assortment of ports. However, the laptop’s performance is plagued by its HDD’s slow read and write speeds, making it a tad frustrating to use on a day-to-day basis. In Dell’s defence, there’s no other laptop in the market which offers a Core-i5 processor and an SSD under Rs 50K. 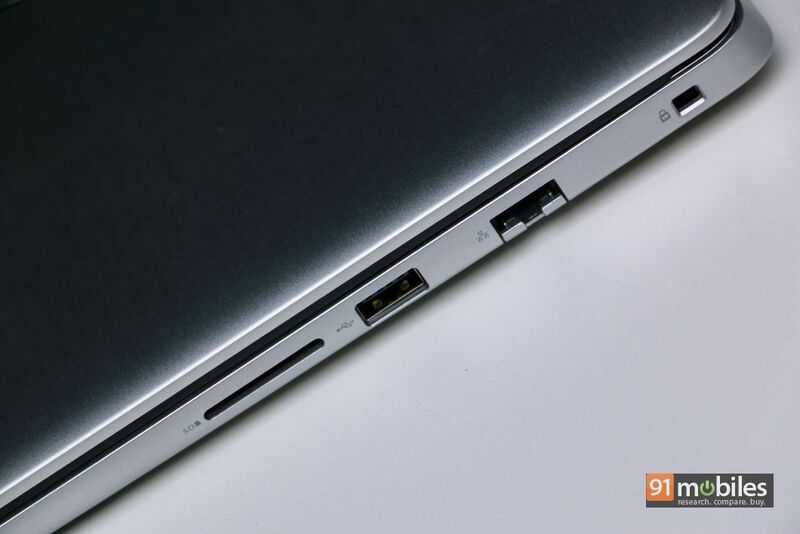 Moreover, the laptop does ship with an M.2 SSD slot and therefore, you can upgrade the storage type down the line to improve the laptop’s overall performance. However, that’s an added expense and will require effort from your end which begs the question – why not opt for a different laptop altogether? Well, Dell believes that buyers investing in the company’s laptop will get a customer care experience unlike any other. Moreover, the company has a ton of promotional offers available on the 5480, including a Rs 4,000 cashback and the brand is even giving away a Sennheiser noise-cancelling headset for free with the purchase of the laptop. With such enticing deals into consideration, the Dell 5480 might be able to pull buyers to the company’s doorsteps, after all.